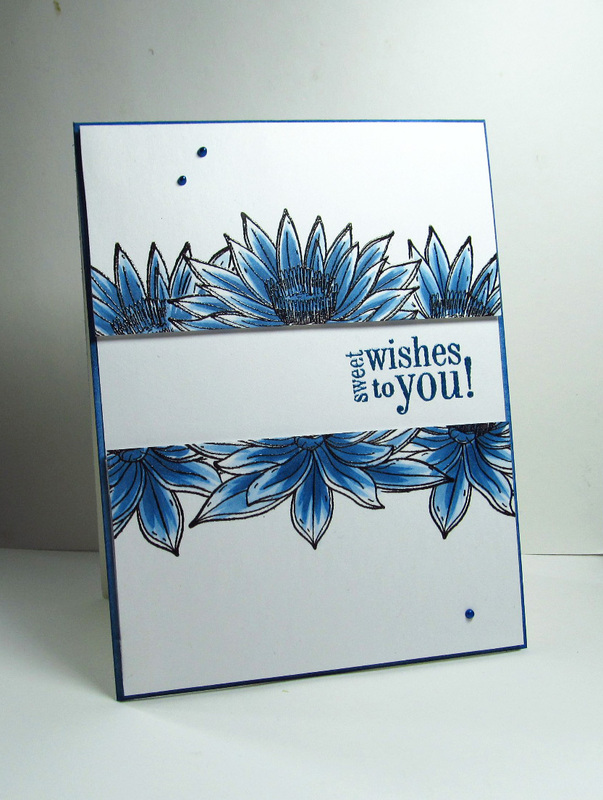 Hello friends....a simple card today (I needed something fast for a birthday). Ink just edges of your card base. Attach a white panel on top, and stamp your sentiment. 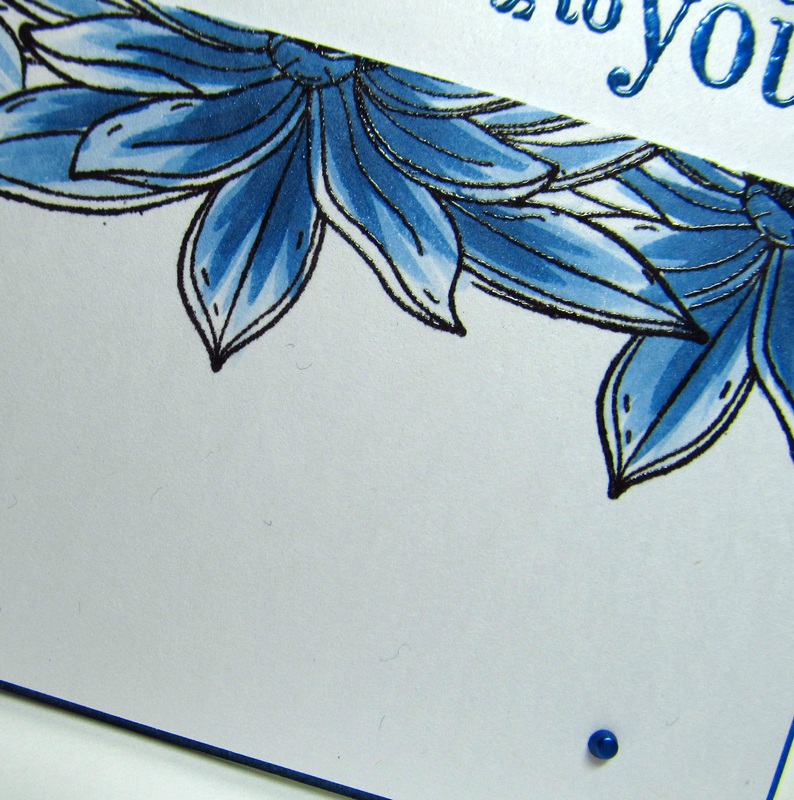 Cut two panels from white card stock, stamp, color and adhere leaving the opening for your sentiment. Hope you are having a wonderful crafty day!!! Stunning card. Love the colors and sounds so easy. I LOVE IT! It's clean, simply stated, and beautiful colors. 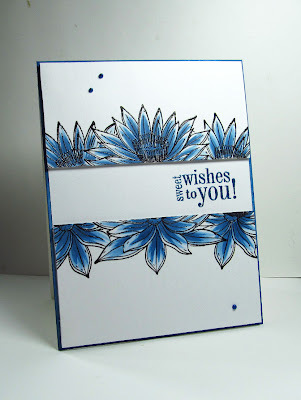 When I opened your blog link and saw this card, I just said "WOW!" Those blue flowers are just GORGEOUS! What a beautiful card!! NJ!